Nuclear weapons, intellectual property law and a Fulbright Fellowship are an odd mix. 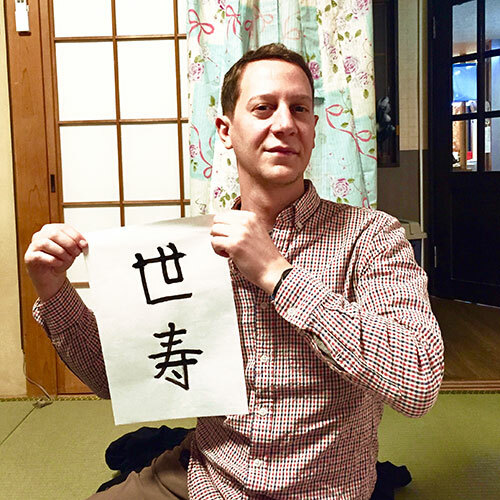 In the autumn of 2016, Prof. Shelden was a Fulbright Specialist Program fellow at Toyo University in Tokyo, lecturing on the U.S. patent, trademark and copyright system and comparing it to its Japanese counterpart. After the fellowship, he remained in Japan through December, speaking and traveling across the country – including stops at the targets of U.S. atomic bombs in 1945. 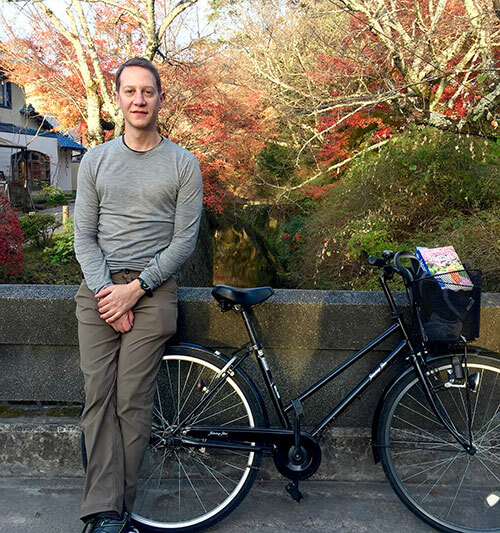 “It was visiting Japan for the first time and going to Hiroshima and Nagasaki that made me reconnect with my undergraduate studies, including my honors thesis, in the law of nuclear weapons and international humanitarian law,” says the City University of New York School of Law adjunct law professor. “It does make a difference to be walking in the place where it happened. There’s no substitute for that kind of intimacy. In Japan, a rekindled interest in international law and disarmament was coupled with furthering his IP-related studies and obtaining context-specific expertise, which otherwise would be impossible to get elsewhere, including at law firms, law schools, and the Japan Patent Office, says Prof. Shelden. Fulbright’s Specialist Program, which runs for two to six weeks, enables academics and established professionals to lecture and develop skills or curriculums for a host school. Candidates apply to be listed on a roster for three years, for potentially multiple visits to different countries, but must find a host. Or an institution must request a specific specialist from the list and justify its choice. 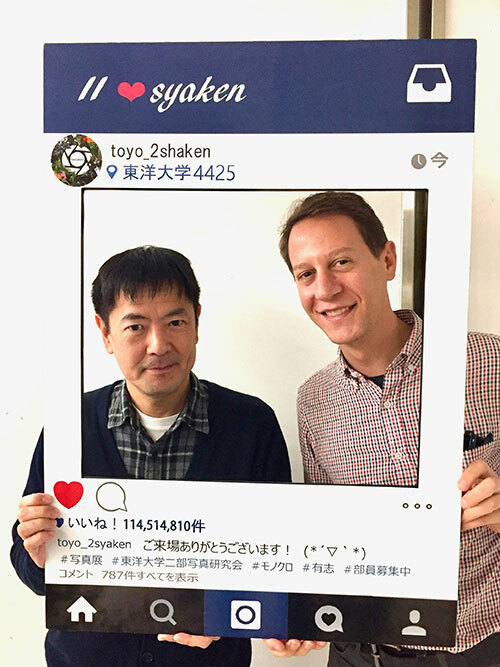 Through today’s version of cold calling – an email sent out of the blue, Prof. Shelden connected with a copyright law expert at Toyo University, Kazuhiro Ando. Today, they’re collaborating on some projects, including a book on legal issues in the music business and an exchange program for Toyo students, and Prof. Shelden has advised some of Prof. Ando’s students about studying in the U.S. Inform scholarship, deepen interests and skills, and nurture new ties, understanding and friendships – Fulbright offers much. And in some cases, as in his, it’s no exaggeration to say that it’s truly transformative. 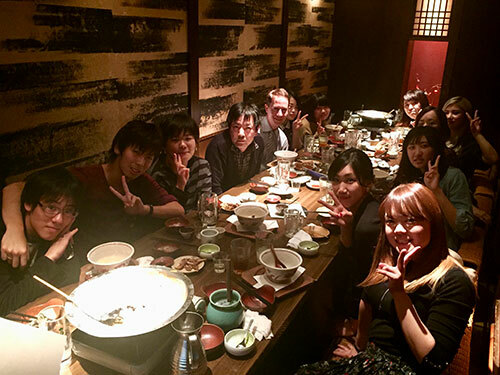 At welcome dinner with Toyo University students in October 2016 in Tokyo. With Toyo University Prof. Kazuhiro Ando. 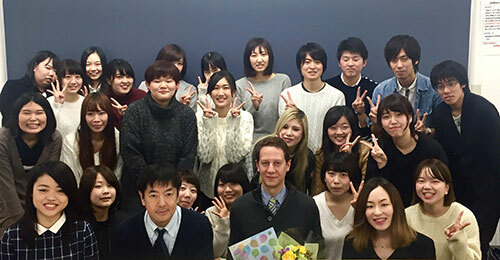 Prof. Seth Shelden's farewell lecture with Professor Kazuhiro Ando's students in November 2016. On the Philosopher's Path in Kyoto in December 2016. 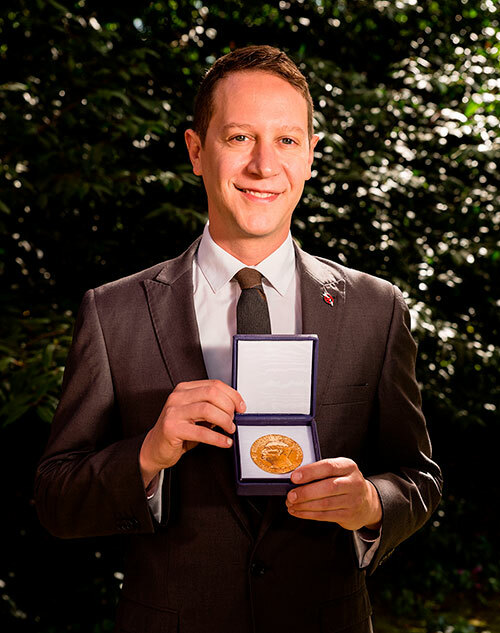 Prof. Seth Shelden with the 2017 Nobel Peace Prize in Geneva in May 2018.